We offer a guide service for those hunters who may not have a dog or have a younger or older dog that needs a helping hand. If you feel you would like to use our guide service and our dogs, please call us in advance to reserve your time. We have two guide dogs at Cedar Hill Game Farm. Ben is our Golden Retriever and Max is our Yellow Lab. 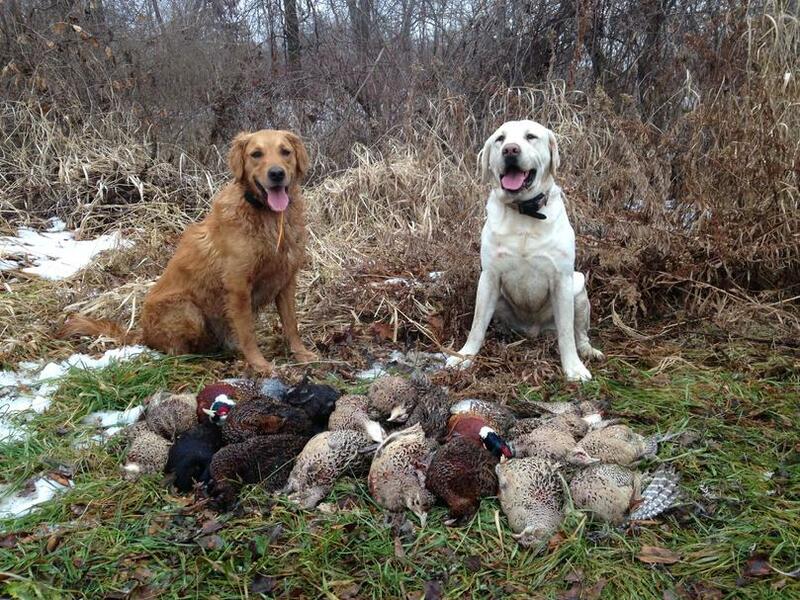 Both dogs have had thousands of birds under them and are seasoned veterans. Max is a year older than Ben, but both dogs are just starting to hit their prime. They are a real pleasure to hunt behind. If you would like to hire our guide and dogs, please contact us in advance to reserve your time. Guided hunts are $50.00 for a half day.